On February 22, HFBC members were invited to be among the first to experience the new high-end Italian eatery, Potente. 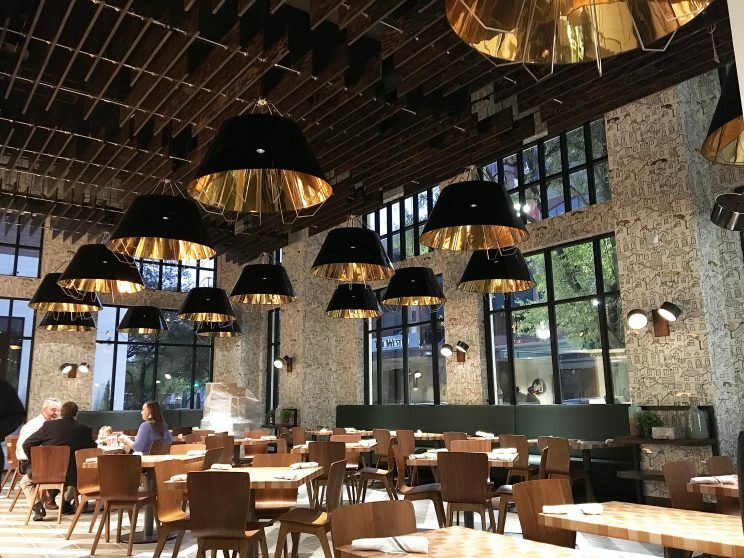 The restaurant is owned by Astros owner Jim Crane's, and joins the downtown food scene at the 500 Crawford building across from Minute Maid Park. Executive chef Michael Parker (Crane's own personal chef) and Chef du cuisine Michael Rideout (Formally of Tony's) treated HFBC to a wide assortment of Northern Italian dishes and drinks. Here's a recap of all the delicious food, decor, and coverage. The plates of food were coming from everywhere as bloggers scattered to get their shots. The chef came out and gave us more information on the restaurant, menu, and what inspired it all. We were treated to red and white wine, frozen negronis, and this fiery drink that came with a show. To see even more coverage from the HFBC first look at Potente check out even more tasty pics and coverage from these food bloggers.